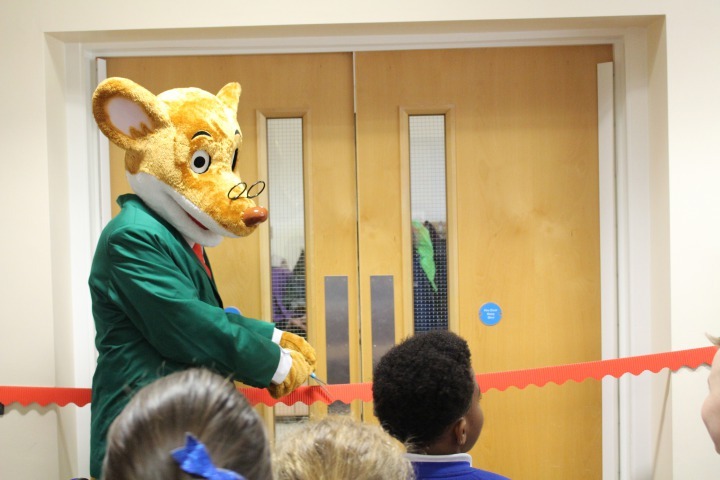 Home › Latest news › Geronimo Stilton's Library Grand Opening! Geronimo Stilton had the absolute pleasure of opening Rakegate Primary Schools brand new library! The pupils, teachers and especially Geronimo were incredibly excited to see the new library and books. If you would like Geronimo Stilton to visit your library, tell us your favourite things to do at your school. Write an article for Geronimo Stilton here. It would be cheddarific if the fabumouse journalist could visit your school!